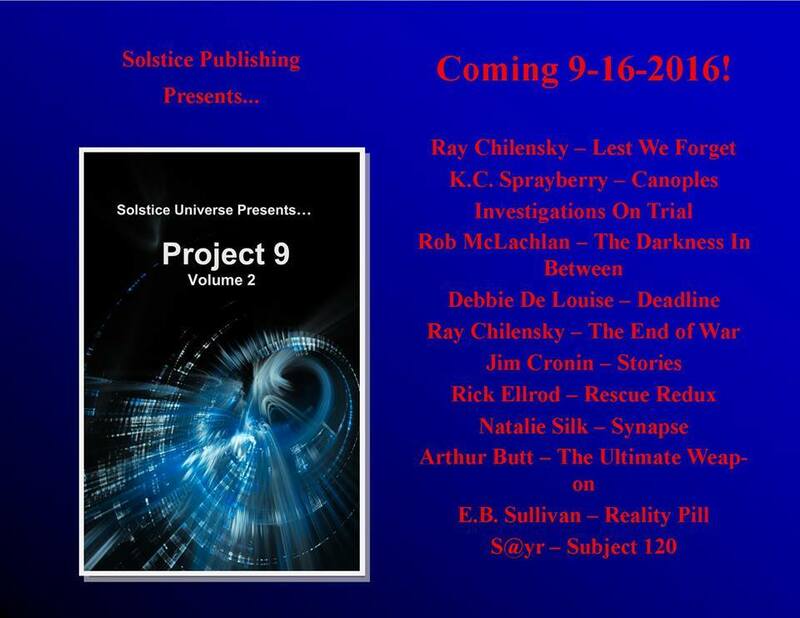 I am proud to announce that my stories, “Deadline” and “The Path to Rainbow Bridge” have been accepted to be included in two anthologies being published on September 16th by Solstice Publishing. “Deadline,” in the Project 9 Anthology, is a Sci Fic story with somewhat of a Twilight Zone theme. It tells the tale of Susan Shaffer, a student and Features editor of the college newspaper at fictional Brockton University. After falling out of her dorm bed one morning, Susan experiences some strange shifts in time and faces much confusion and fear until she discovers what is happening to her. 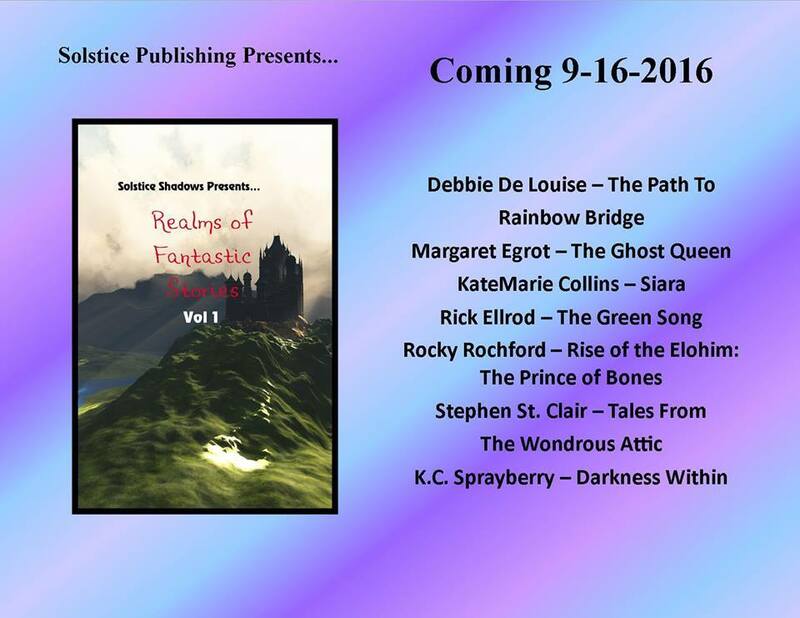 “The Path to Rainbow Bridge” for the Realms of Fantastic Stories anthology is one that is close to my heart. It features a cast of cats, some of whom are based on my own deceased pets. When Tom the gatekeeper assigns Shadow to gather Kate’s fur family together because her elderly Siamese is scheduled to arrive on Rainbow Bridge the following day, Shadow is in for a special surprise. If either or both of these stories sound interesting to you, look for their anthologies being released September 16 with other Sci Fic and Fantasy tales by Solstice authors. 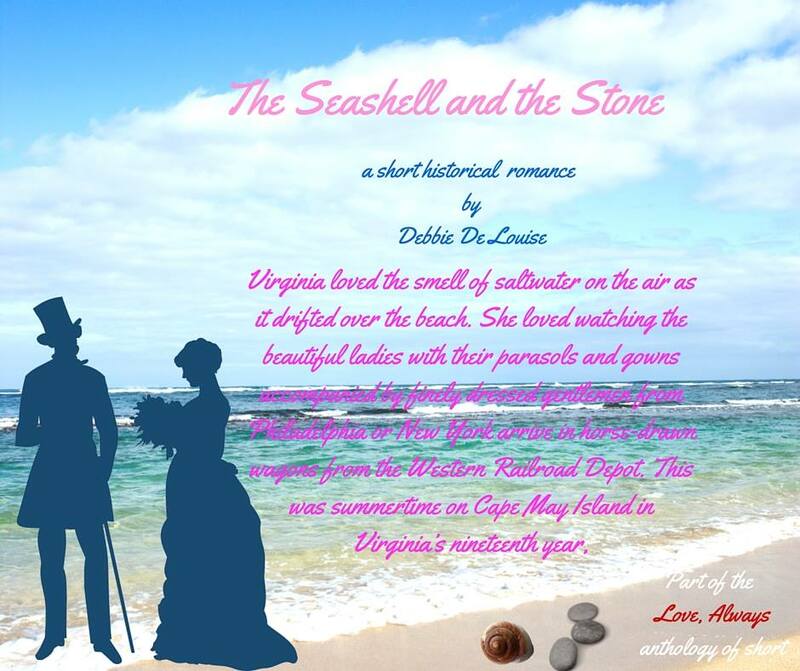 I have also self-published a historical romance, “The Seashell and the Stone” with 15 other authors, many of them from Limitless Publishing. 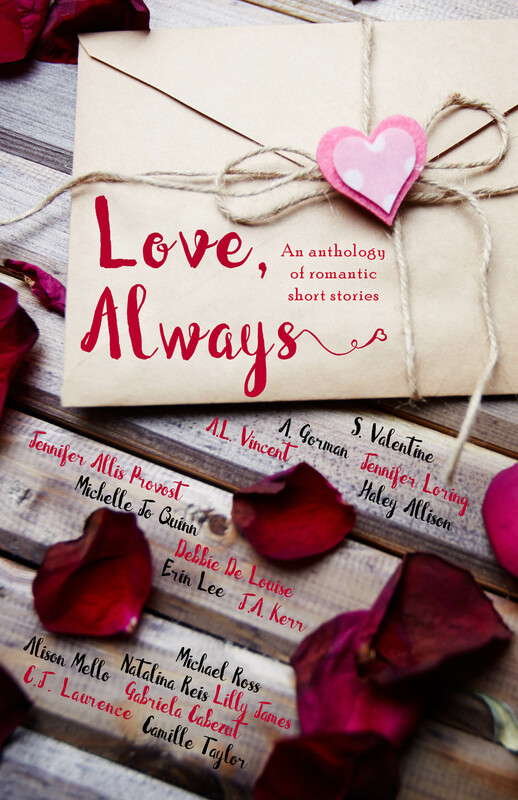 This anthology, Love, Always, is only available as a giveaway for my newsletter subscribers or as prizes for any of the Facebook events at which I offer it. 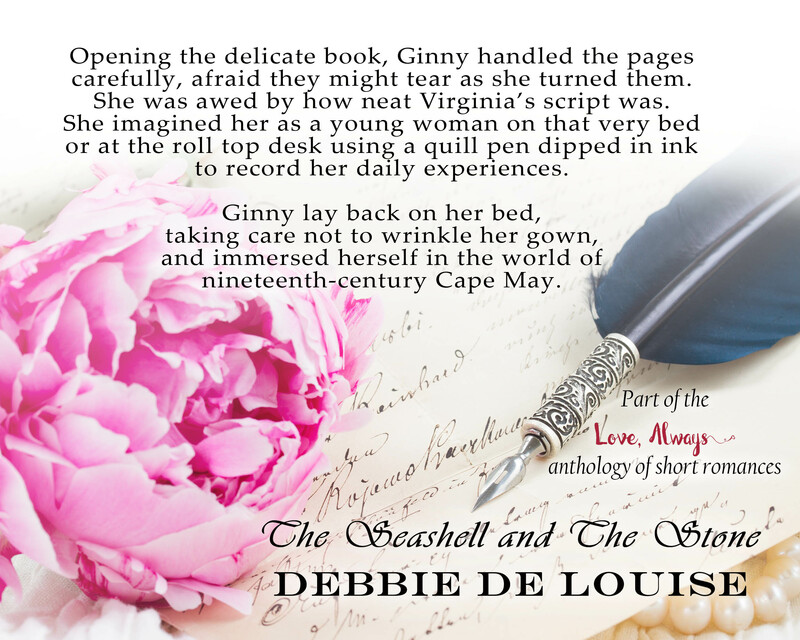 The Seashell and the Stone takes place in 19th-century Cape May, New Jersey where a young woman meets a traveler who has a secret that changes her life and that of her great granddaughter’s. To subscribe to my newsletter, complete the pop-up form at my website https://debbiedelouise.com or send your email address to debbiewriter@yahoo.com with your request to subscribe.